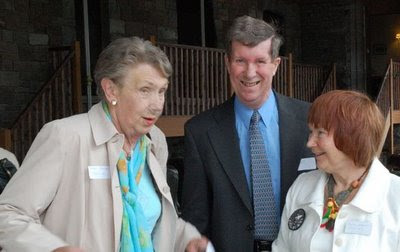 Mari Friend ( nee Jenkins) with her husband, Peter, and Ann Shaw (nee Rumsey)at the book launch"Children of Craig-y-nos" in Craig-y-nos Castle. Says Ann:"We were children in Craig-y-nos together. It is great to meet up with so many friends again."